If you're not in a rush to jump all over Apple's upcoming iPhone 6, then you may like this lush case made by Verus for the iPhone 5s and iPhone 5. It's called the Iron Shield. Just hearing the name makes you excited. 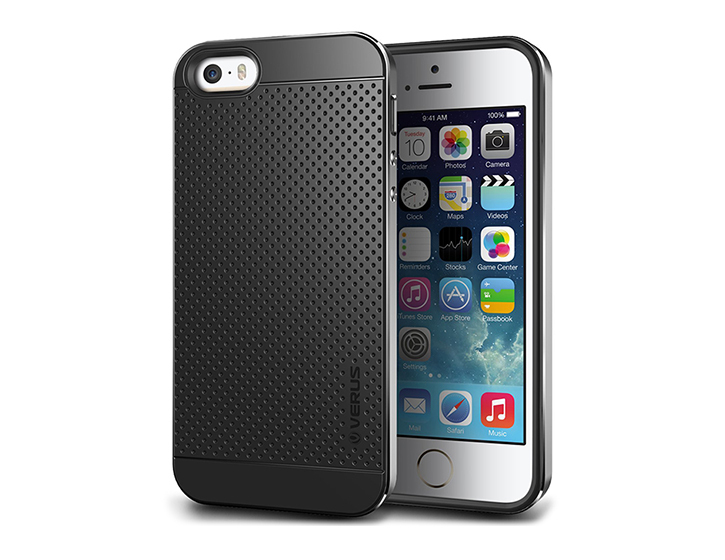 This slim fitting case features a dual-layer hybrid design made up of a shock-absorbing black TPU core made to look like the original two-tone design of the iPhone 5s, albeit features this dimpled pattern on the back that is similar to Samsung's Galaxy S5. Around that, the Iron Shield features a thin aluminum frame said to provide additional protection without impeding on signal reception. It looks great and best of all, it's surprisingly inexpensive for what it's worth at just $25. So really it's a more premium iteration of Spigen's hugely popular and similarly priced Neo Hybrid case. The metal frame of the Iron Shield copies the native and elegant industrial design of the iPhone using the same refined chamfered edges, closely cut speaker and mic perforations and instigated control buttons. 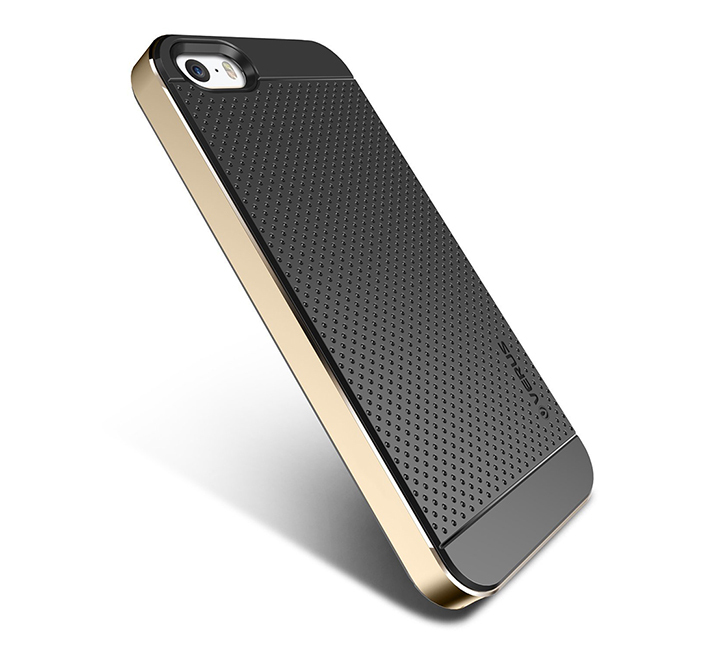 The aluminum frame of the Iron Shield case is available in champagne gold, silver, titanium, pink and blue hues. Update: It's also available for other popular Android devices like the Samsung Galaxy S5 and LG G3. And apparently there are already placeholders for the 4.7-inch iPhone 6 version of the Iron Shield case, which like Spigen's iPhone 6 cases is also slated to be released in late September.